Berlin is such a fascinating place which is why more people are coming now than ever before. According to the Guardian, the city’s population has grown by about 50,000 per year over the last five years to 3.5 million. (Patrick Collinson, Guardian, Tuesday, April 10, 2018). Relocating to a new city can be an exciting adventure especially for kids but it can also be overwhelming when you don’t know the lay of the land or the language. Having a comfortable, organised home quckly set up upon arrival or after you arrive in your new city will make the transition much easier and more enjoyable. 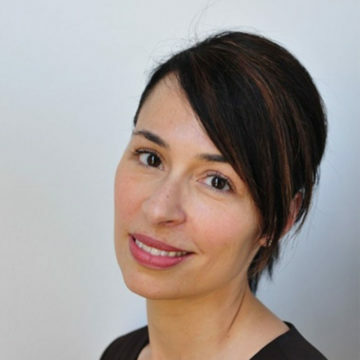 I have been in many homes in Berlin both professionally as a designer and privately and no two are alike. 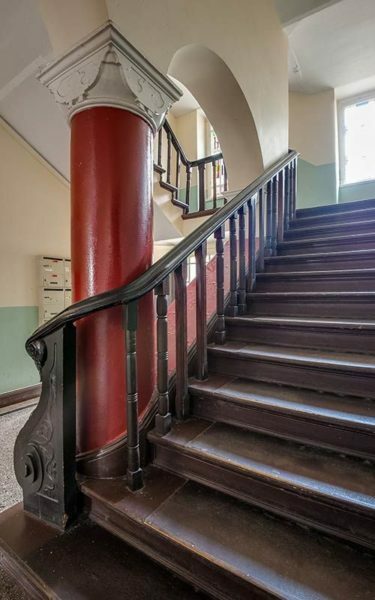 The famous Berlin “Altbau” or pre war apartments are fabulous – I’ve seen ones that have not been renovated since the war as well as ones that have been designed from top to bottom. The amazing details – soaring ceilings, huge windows and beautiful doors, mouldings and trim. Whether you get a new or prewar apartment or a house, here are a few things that are rather unique to Berlin homes for those who are new to the city. This is just one of the great features that are common in Berlin. Floor to ceiling in some new homes and pre war apartments often have windows ranging from 2.5 – 3 meters wide by 2.5 to 3 meters high resulting in homes flooded with light. 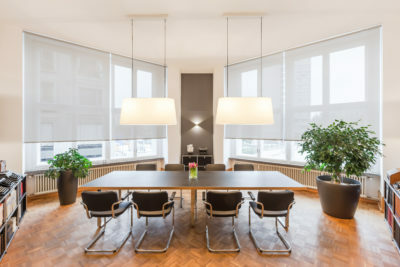 But if you’d like a bit of privacy, improved acoustics or just some decoration, getting window coverings can be a challenge when they all have to be custom made or ordered. Some places do sell ready made curtains up to 3 meters long but they usually need to be altered in some way. Blinds and shades in large sizes usually have to be ordered as well. 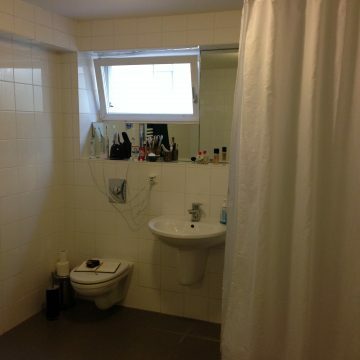 Adding to the challenge is the fact that in Germany, it is standard that windows open inward (as opposed to sliding or opening outwards), sometimes making it difficult to install the necessary hardware. For help with custom window coverings, get in touch. Other than a bare bulb dangling from a ceiling cable. This is common and a surprise many people from other countries don’t expect. 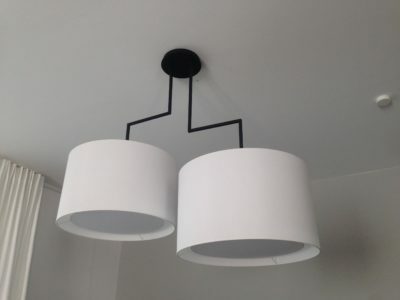 In many rentals, you will have to buy your own light fixtures and have an electrician hook them up for you. On the positive side, this allows for the installation of your own choice and style of lights and not just a standard builder’s selection. Take a walk through Stilwerk for some high end inspiration, Bolia and Boconcept for a Scandinavian look or at online shops. This is changing but is still common in around 50% of apartments. When I first came to Germany years ago I wondered if I would also have to install the bathroom. (You don’t). 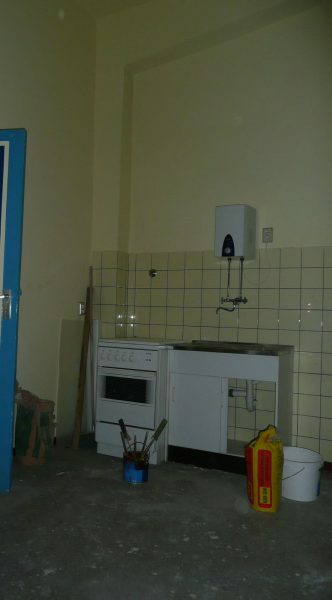 Again, if you have to provide a kitchen, this allows you to choose your own style. Be aware though, that most rental contracts will then stipulate that you have to remove the kitchen (sell or take it with you) when you vacate the apartment. There are many kitchen studios in Berlin – Ikea, kuechen-aktuell.de or in the Stilwerk Berlin Design Centre to name a few. To those not used to European life and coming from North America, this can be a bit of a shock. 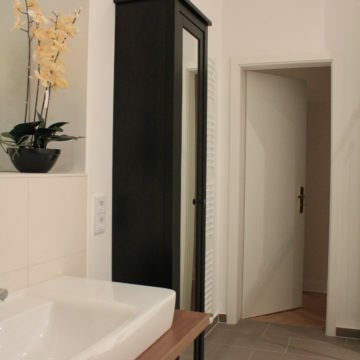 In Germany, built in and walk in closets are sometimes included in new, higher end homes but in general, they were always viewed as reducing the actual living space. 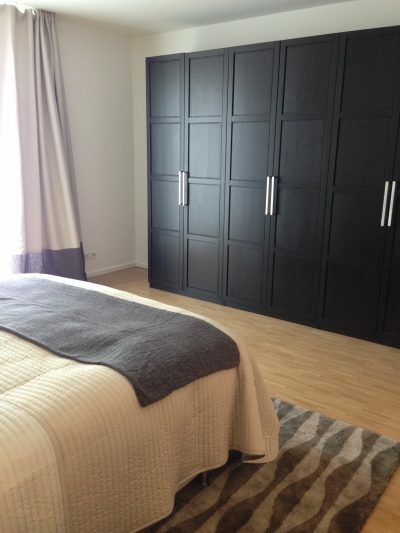 You have the choice of buying ready made closets, or, to maximise the space really well, have them custom made by a carpenter. 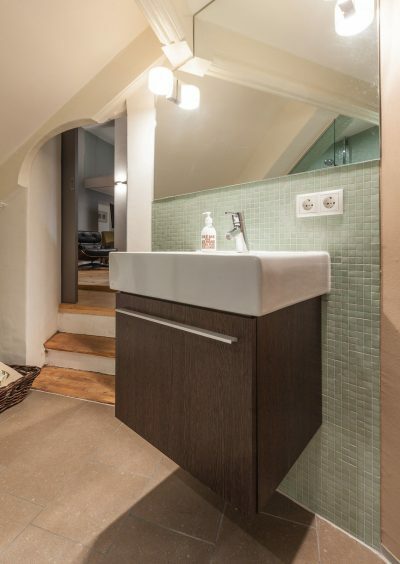 As many of the pre war apartments were built during what is known as the Berlin “Gründerzeit” from the 1880s to the 1930s, much of the modern plumbing was installed at a later date and had to be accomodated into the existing space. A common situation is a bathroom with an opening in the wall allowing access to a window which is sometimes in another room. They are often opened and closed with a long stick to allow for ventilation. The above bathroom is located under a staircase. 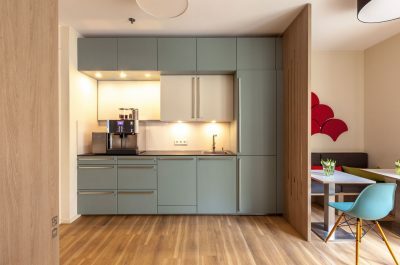 Many Berlin apartment buildings either have no elevator or a small one that has been retrofitted meaning deliveries and furniture usually have to be carried up. There are even specialist companies that carry grand pianos all the way up to the top floors. Consider it an alternative to going to the gym. And as consolation, many have beautiful and ornate staircases to make the climb a bit more enjoyable. Although no two spaces are alike, these are just a few of the interesting and unusual quirks to expect in your new Berlin space. If you’re moving to Berlin and feel you could use some assistance setting up your home, please get in touch.